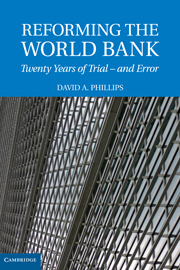 In the many studies of the World Bank a critical issue has been missed. While writers have looked at the Bank’s political economy, lending, conditions, advice, ownership and accounting for issues such as the environment, this study looks at the Bank as an organization – whether it is set up to do the job it is supposed to do and, if not, what should be done about it. 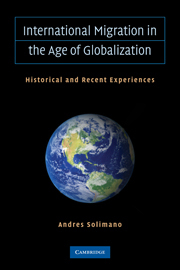 The book is about the problems of organization and reorganization as much as it is about the problems of assisting third-world development, and it is a case study in flawed organizational reform as much as a critique of the way development assistance is managed. 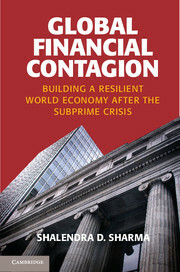 It covers the period that starts at the time of the first major reorganization, in 1987 under President Barber Conable, and ends at the time of the resignation of Paul Wolfowitz, in 2007, but it focuses especially on what happened during the tenure of James Wolfensohn. 1. What does the World Bank do and how does it do it? 9. Why did the reforms fail? 12. Looking back and looking forward: what is to be done? David A. Phillips has spent many years in developing countries, especially in Africa. He is an economist who, after starting his career in multinational companies, turned his attention to the field of development, spending 14 years at the World Bank Group and in recent years working as director of a private consulting firm based in the UK and United States. Dr Phillips held a lectureship at the University of Bradford Development Centre in the UK and was an official at the Commonwealth Secretariat in London. 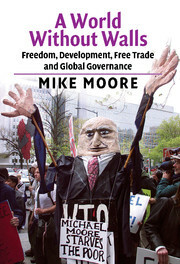 He has also lived and worked on an extended basis in Tanzania, Nepal and Belarus. Dr Phillips has published journal papers on small business development and cost-benefit analysis.